The flame smoked trophies are an elegant and unique award designed for all corporate award occasions. They include an appealing flame shape and beautiful smoky color with frosted engraving. The base is silver and black with brushed aluminum accents. 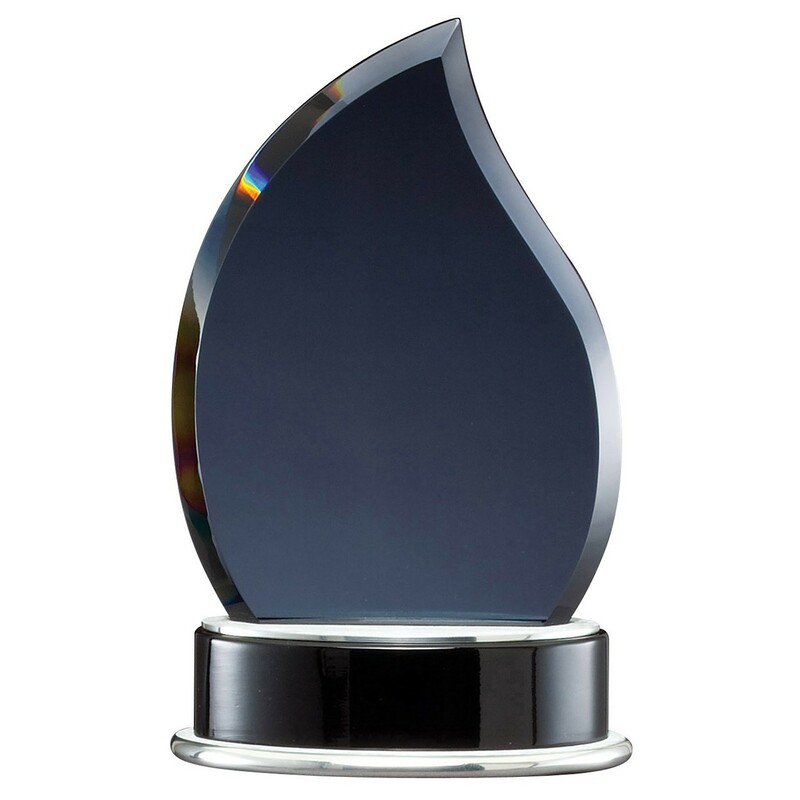 The Flame Smoked Glass Trophies are available in three sizes: 4.5" x 7.5", 5" x 8", and 5.25" x 9". These stunning trophies are sure to make an impression!